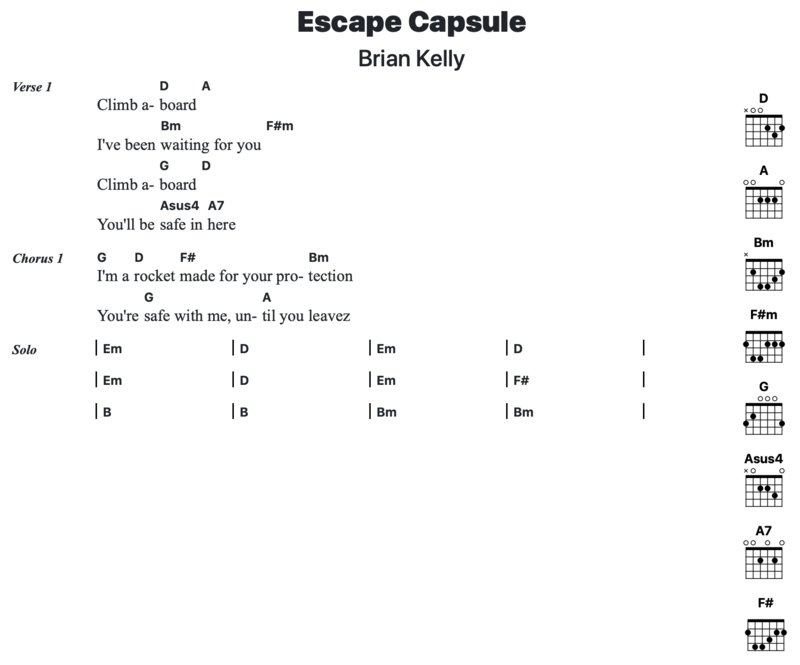 SongPro is a text file format for making chord & lyric lead sheets for songs. A SongPro file can contain Attributes, Sections, Chords, Lyrics and Tablature. They can be placed anywhere in the song but it’s recommended to put them at the top of your file. The values are text that are displayed in the rendered output. A custom attribute can be anything. These are mainly used by other apps that want to store additional attributes beyond the core set or are that specific to the app. But you can name them however you please. Chords are anything contained inside of brackets, such as C#m7. Lyrics are words by themselves or around chords.